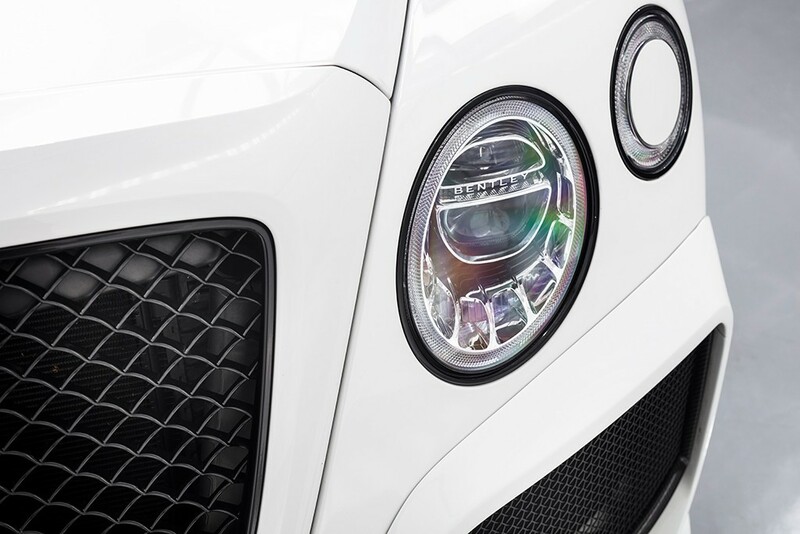 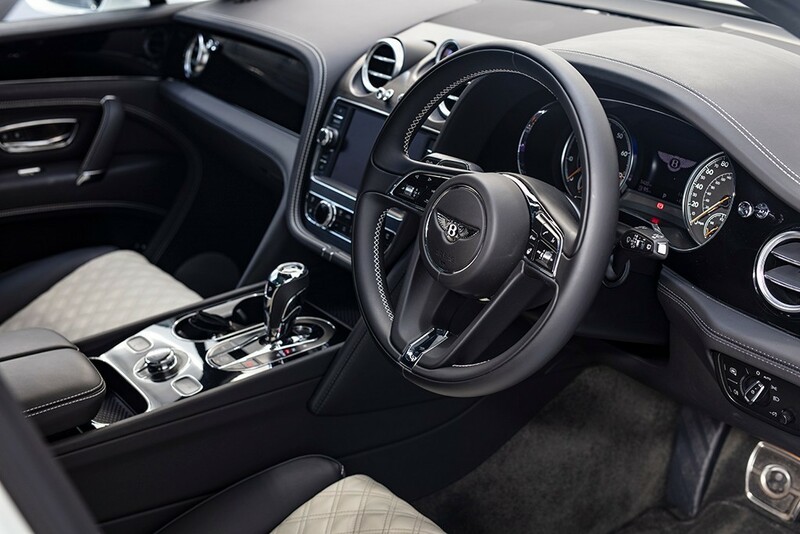 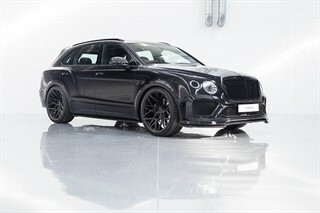 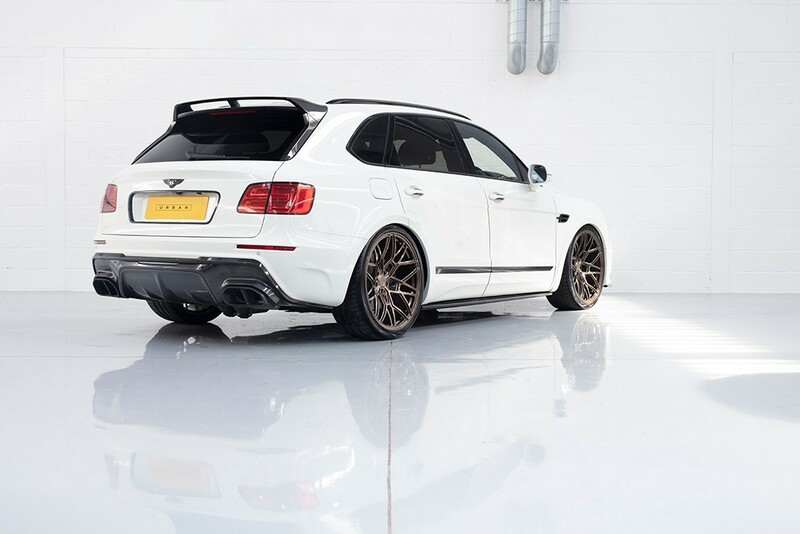 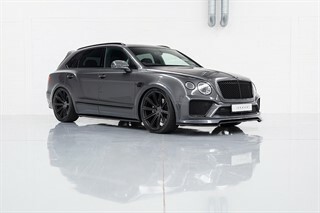 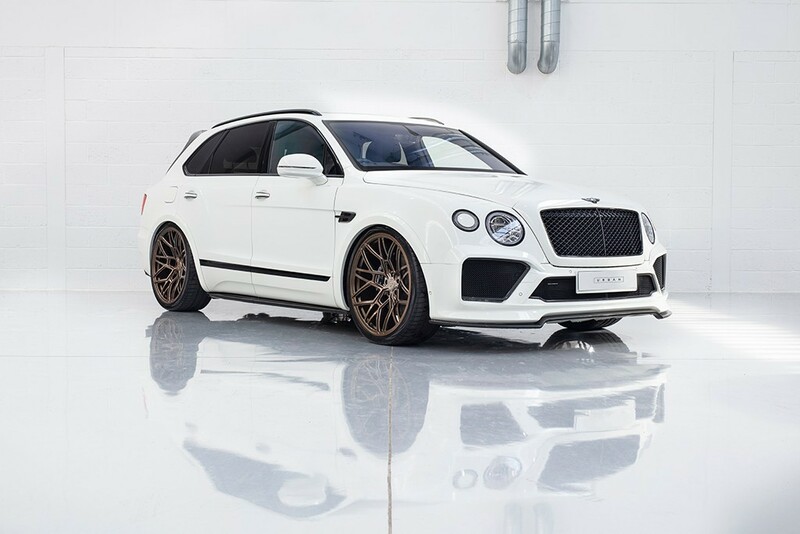 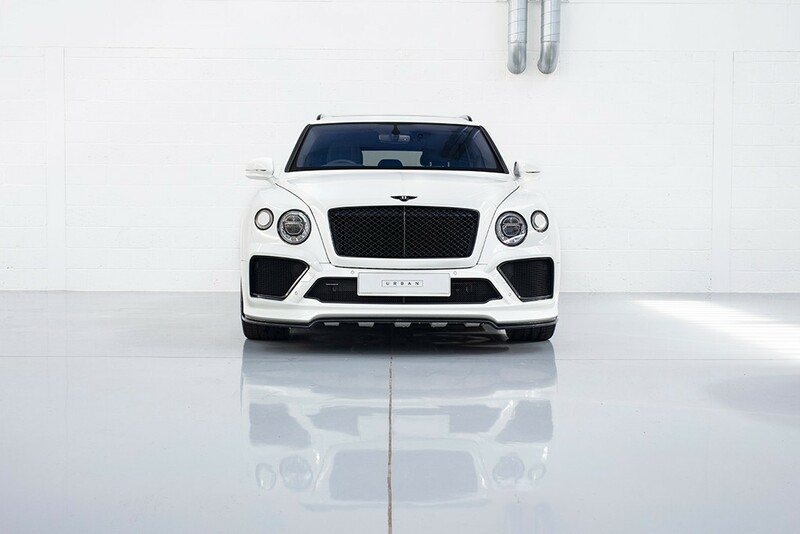 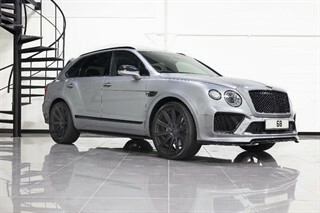 URBAN Automotive are proud to offer for sale the Bentley Bentayga 4.0 V8 Petrol which benefits from the elegantly designed URBAN remodelling package. 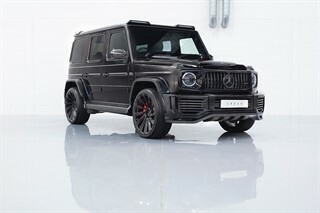 Offered with under 10,000 miles and factory specification that includes a Grand Black dashboard veneer, privacy glass, factory black pack, and the desirable dynamic ride stability pack. 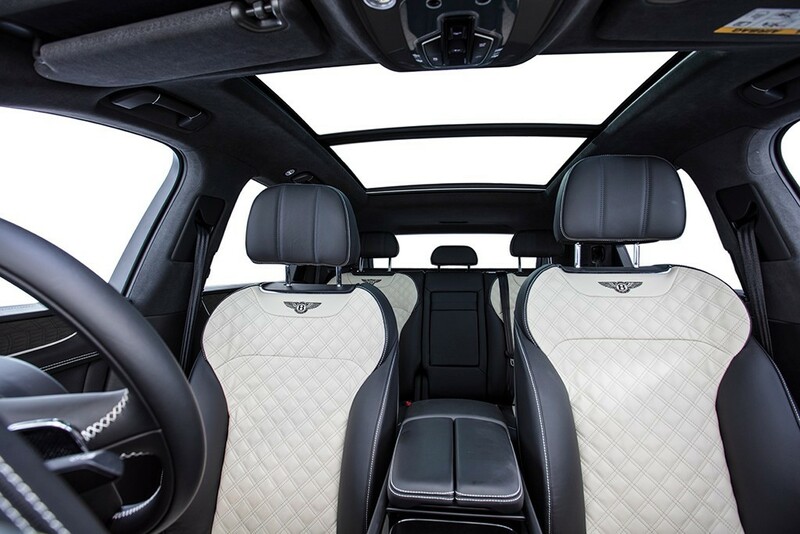 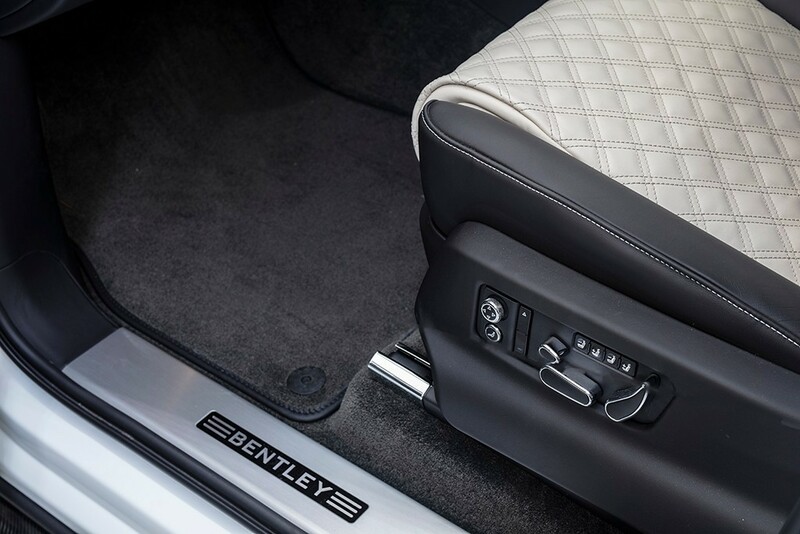 The interior has been further enhanced with a re-trim to the centre section of the seats in an ivory leather. 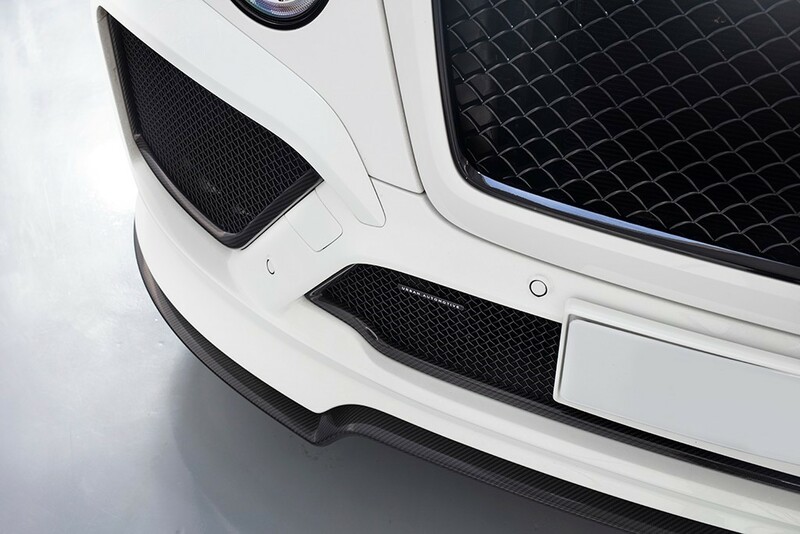 The enhancements by URBAN Automotive include complete front and rear bumper replacements, skillfully crafted in-house in the UK from carbon fibre and painted to match the vehicle's original paintwork. 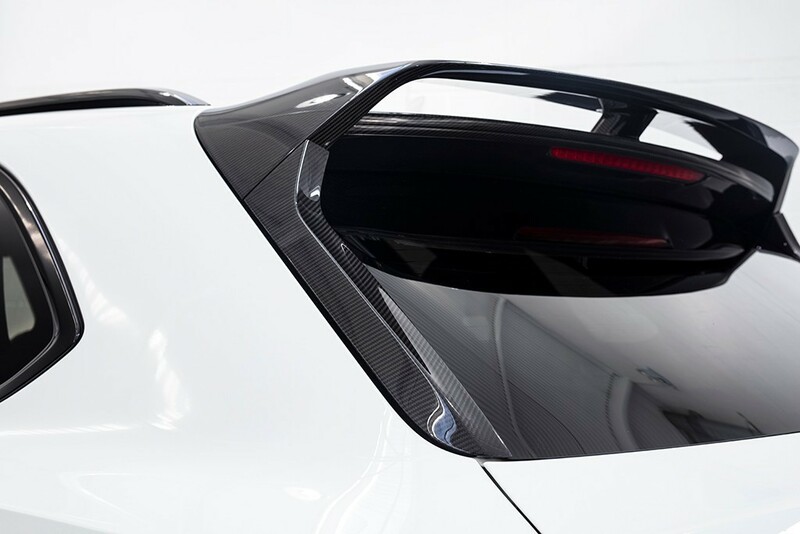 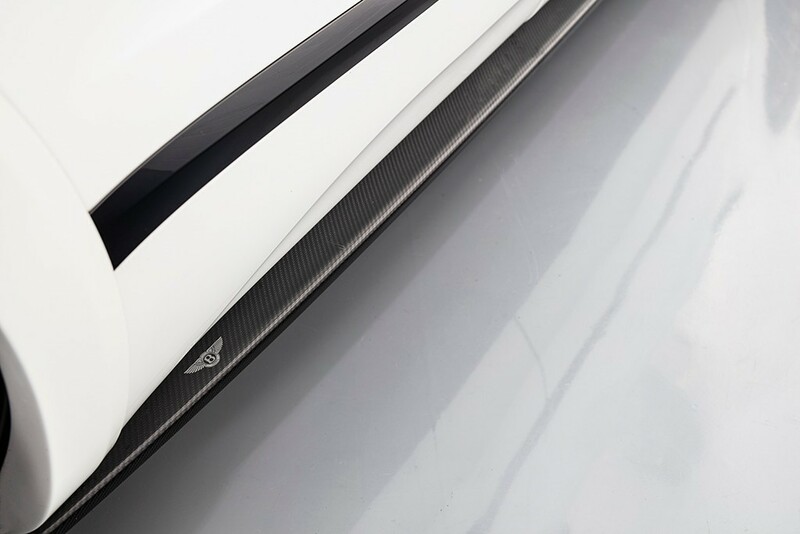 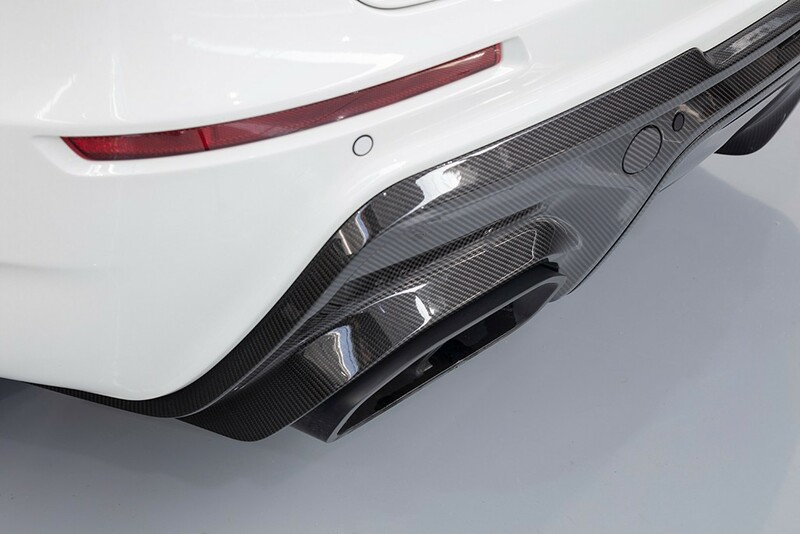 Components such as the carbon fibre bumper intake surrounds with nylon coated mesh, carbon fibre front bumper splitter and carbon fibre rear diffuser are finished with a gloss lacquer that exposes the carbon fibre weave. 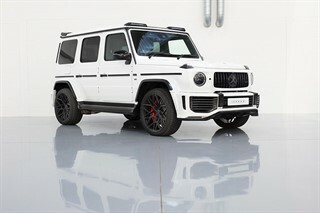 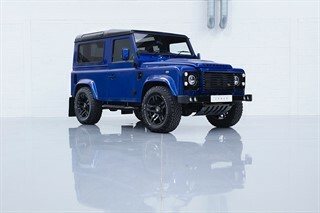 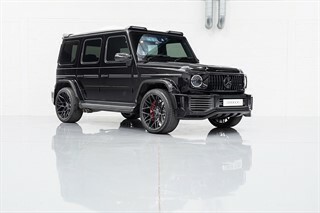 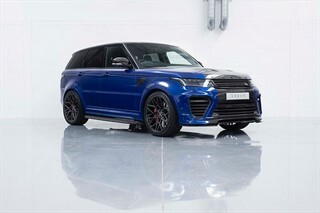 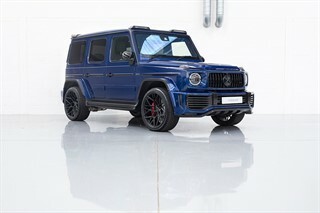 The front bumper also cleverly integrates a pair of daytime running lights (DRLs), while the rear is finished with a pair of satin black tail pipe finishers, milled from billet aluminium. 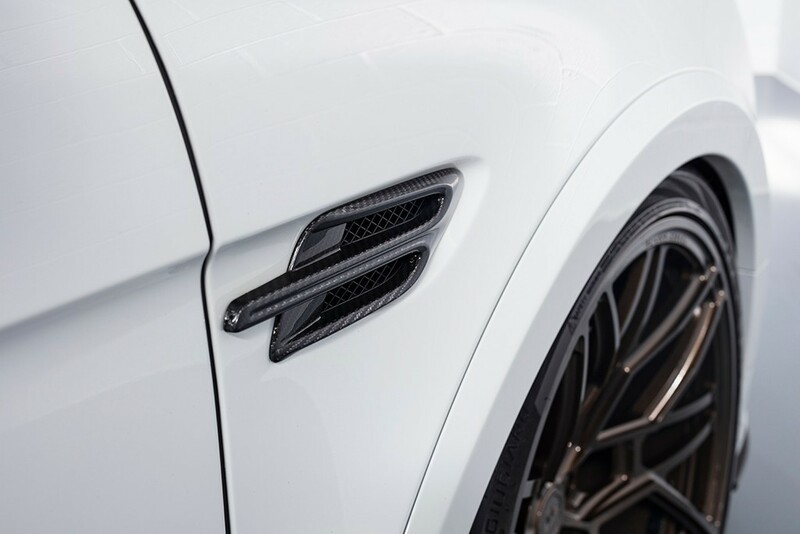 The wheel arches have been subtly extended by 25mm to give a stronger stance, and with a tasteful OEM finish. 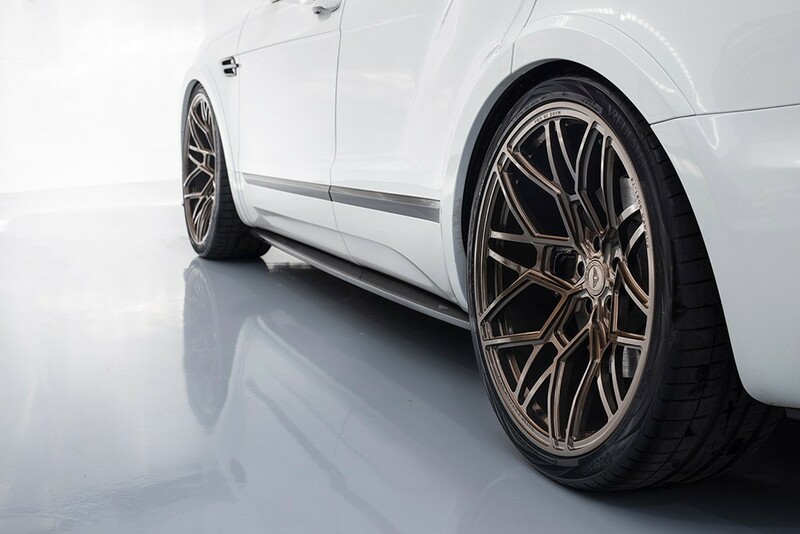 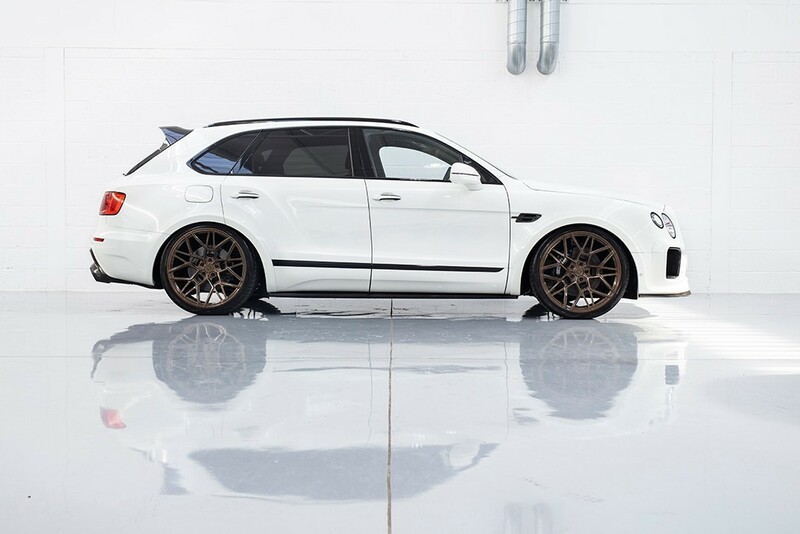 The vehicle has our exclusive 24" UV1 forged alloy wheels finished in Gloss Bronze. 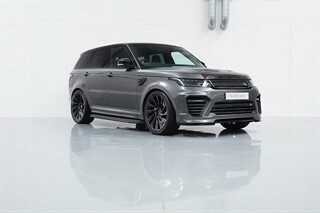 The vehicle also been fitted with an Electronic Lowering Kit and our Valved Exhaust System.